Looking for a career that’s not just a job, but a passion and a calling? Do you have questions about affording ND school, how to apply, how others have made it work? Then join Eve Adams – Director of Admissions at Southwest College of Naturopathic Medicine for a free and inspiring information session on how to make your dream of becoming a naturopathic doctor a reality. A long-time advocate of naturopathic medicine, Eve Adams is proud to be a member of the SCNM community. 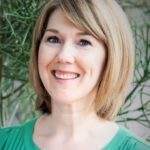 Prior to joining SCNM, she worked at Valley of the Sun United Way in development. Eve graduated from Arizona State University with a bachelor’s degree in communication and nonprofit management. She is actively involved with a number of community and non-profit organizations. In her spare time she enjoys practicing yoga, hiking and exploring the beautiful state of Arizona. It’s so rewarding to help students fulfill their dreams of being the kind of doctor that will truly change a patient’s life!